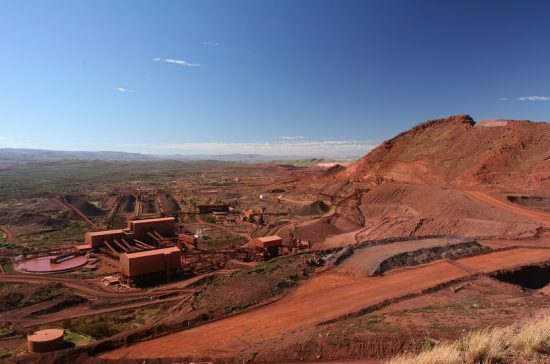 Fortescue Metals Group has confirmed it will build a new large-scale iron ore mine in the Pilbara region of Western Australia, as part of its plans to increase the average grade of its iron ore output. The Australian mining giant will spend US$1.27 billion on the construction of the Eliwana mine, which will replace the almost depleted Firetail mine in the same region. First ore from Eliwana has been earmarked for the end of 2020, with spending on the project set to begin in the next financial year, before the biggest outlay in fiscal 2020. Around 1,900 jobs will be created during construction, said Fortescue. The project will also include construction of 143 km of new railway to support the 30 million tonnes per year mine. “Development of the Eliwana project will maintain Fortescue’s low-cost status, providing us with greater flexibility to capitalise on market dynamics while maintaining a minimum 170 million tonnes per annum production rate over 20 years,” said chief executive Elizabeth Gaines. Fortescue currently produces several iron content products between 56% and 59%, but is planning to introduce a new ‘premium’ product of 60% iron content next year. The Eliwana project is central to these plans. With fellow Australian majors BHP and Rio Tinto also planning to approve multi-billion dollar projects in the Pilbara before the end of the year, experts have suggested that WA may be on the brink of a second mining boom. The Chamber of Minerals and Energy has predicted that 20,000 local jobs will be created next financial year, many of which will be located in the Pilbara – WA’s mining epicentre. The state’s LNG exports are also set to increase by around 70% to almost 50 million tonnes by 2020.